When you are traveling in the rolling remote hills of Maui you would never think that they contain one of the highest ranked courses in the world but boy do they! Turning onto Plantation Club Drive you have little idea what is in store for you but what is there is a MUST play for any golfer out there. 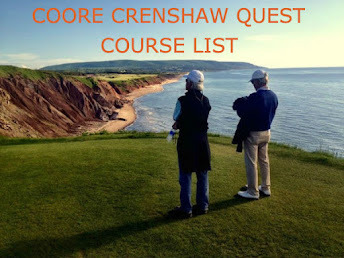 It was also a must play for me as it kicked off my Coore-Crenshaw quest in earnest. It was fitting this was my first C&C course as the Plantation Course was one of their first co-designs and as with every C&C course I play, Ben will be coming with me. The most, MOST impressive thing about the course is the views. Whether you are going down a hill or looking back as you go up a hill, the Pacific is the feature of this course and a true wonder to behold. The views take your breath away and there in lies some of the defense of the course as you are often distracted just looking at everything. Some courses have a mix of houses and views and there are several homes at Kapalua but you can count them on one hand and the course and the hills speak for themselves. this course mixes it up in a variety of ways. The fairways also slope given the nature of the hills and the valleys around the course so knowing where to put your first shot is paramount on this course. 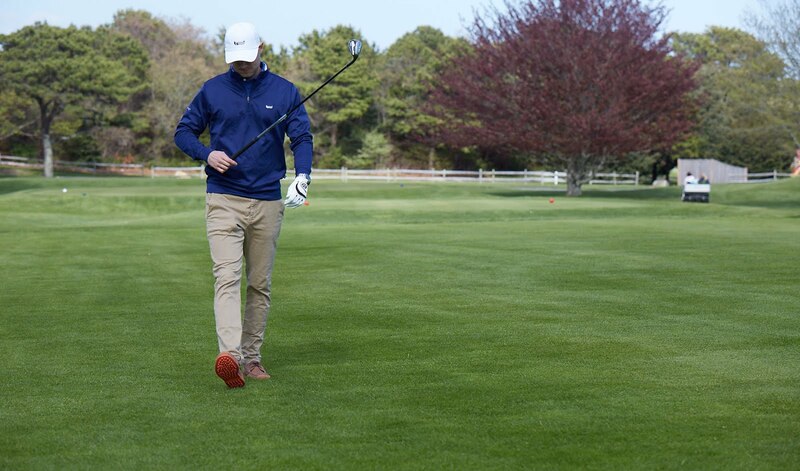 Your second shots and beyond will all depend on it. Of course, what does it matter, if your second shot has this view? and once the ball goes in it, good luck to you finding it and/or getting it out. I felt like the rough was slightly toooo close at some points for my hacker self but that just means I have to stop missing it left damnit ;). The front side of the course also loops around a huge ravine/canyon with a crazy elevation gain/loss that has to be seen to be believed, truly an inspired routing. Part of me wonders though if they could have routed a few holes through the canyon as there is a tremendous amount of wind on the course and since you are on tops of hills all the time you are facing at least a 2 club change. 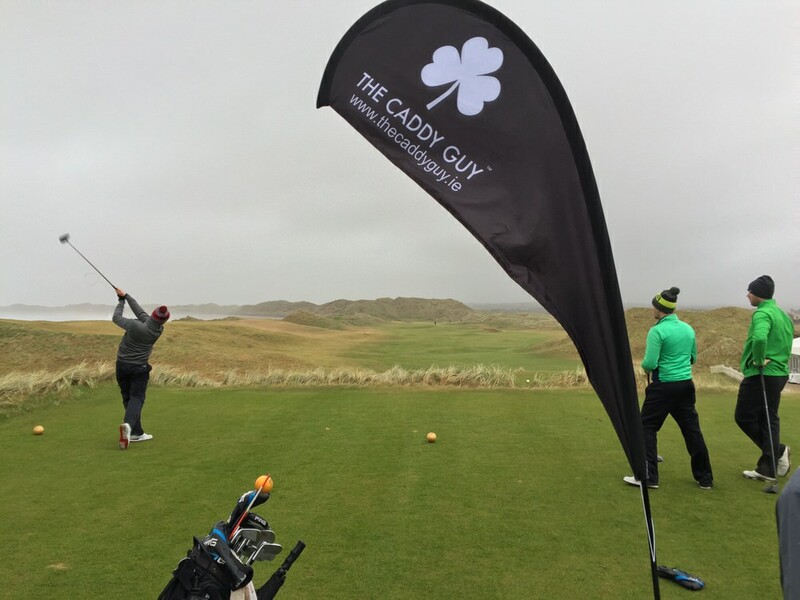 There is nothing I would change about the course, it is the best I have ever played by whoo boy was it windy when I played. Hawaii tee times are pretty consistent across the board. Want to play early in the morning when there isn't much wind, be prepared to pay. Want to play after 1pm, the course is yours for a song. The day I played I started out at 1pm and was facing a wind of 20-30 mph but it made the course just as interesting although I would love to play it again without wind to see what the differences might be. The bunkers and greens were in amazing shape for the most part as they should be with the PGA tourney looming in January. Two of the greens were still recovering from being punched which was slightly surprising but didn't ruin the experience for me in the slightest. As with any course, definitely check what the aeration schedule before you play. So what was my favorite hole you ask? Well its Numero 11 a downhill par 3 that overlooks Honolua Bay with a deadly bunker to the short left, death if you go long and a bailout if you go right. Ru MacDonald of the Scottish Golf Podcast asks all of his guests if they could go back to Scotland and hit/re-hit one shot, which would it be? For me, give me a bucket of balls and let me hit shot after shot onto this green. Coming down the stretch was amazing as you felt the history of every hole and none more so than the 18th. Everyone took a picture here. Everyone stopped to savor the views and why would I be any different? The 18th is a very long par 5 and I found myself with a longish 3rd shot into the green from the rough. Using a tip from my playing companion, I hit the ball short and at the middle "Carts" sign and watched as the ball took the hill and the grain and ended up 10 feet from the pin! Alas, I missed the birdie putt but I made the par on 18 as well as a few other holes that day which made me feel a "slight" kinship with the tour pros (really slight but still...). 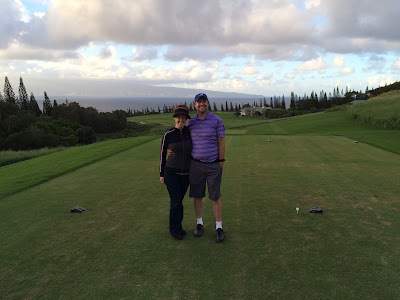 Overall, my playing Kapalua was my favorite golf experience by far. The views, the history, the course itself, all were interesting and engaging and well worth your time. As for my first C&C course, well it was a doozy and I can't wait to see what the other courses have in store for me over the next year. 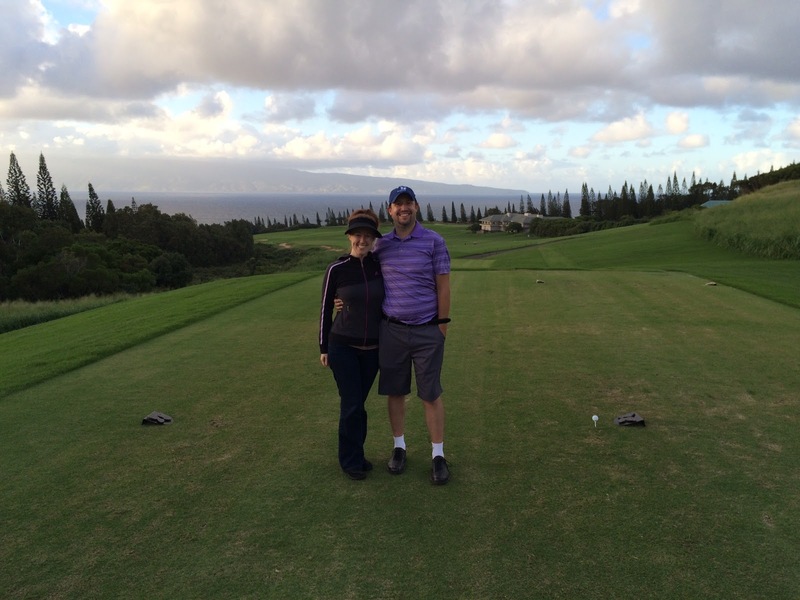 I would also like to give a shout out to the staff at Kapalua. Troon runs the facility and the staff were all awesome and accommodating and the round was a quick 4:10 which was fantastic as well. My wife deserves a lot of credit as she is the one who took all of these amazing pictures and was there for me whether I par'd or triple bogeyed and it was an awesome round having her there. Finally, Kapalua Plantation is the number one course in Hawaii and one of the top courses in the world for a reason. I highly recommend you find that reason for yourself and play this beauty. It is my favorite course by a mile and I think it will become yours as well. They run best on level surfaces. They don't go as quick as the gas fueled trucks, yet this is likely not a tremendous factor since nobody is dashing on a fairway.